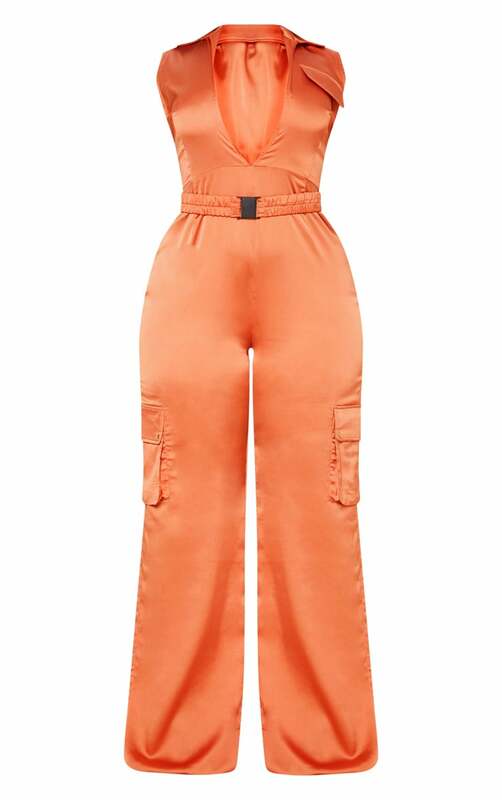 Give your look some utilitarian vibes with this jumpsuit girl. Featuring a rust satin material with a plunging neckline and a cinching elasticated buckle belt. 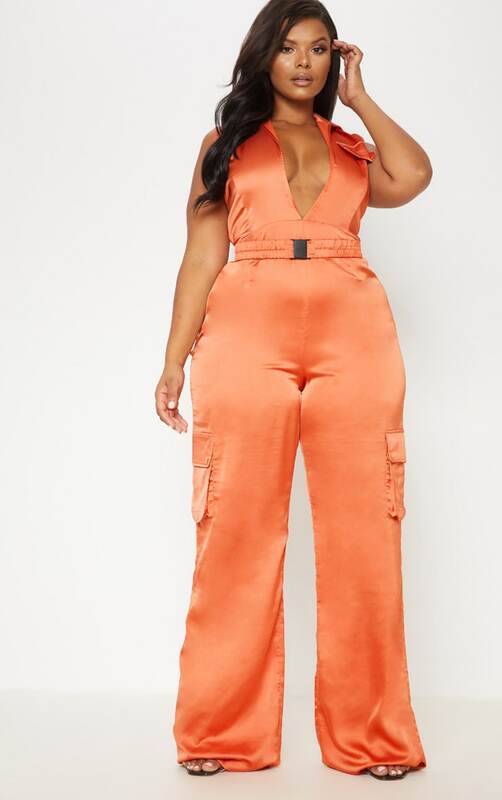 Team this jumpsuit with sky-high heels for a look we are crushin' on.